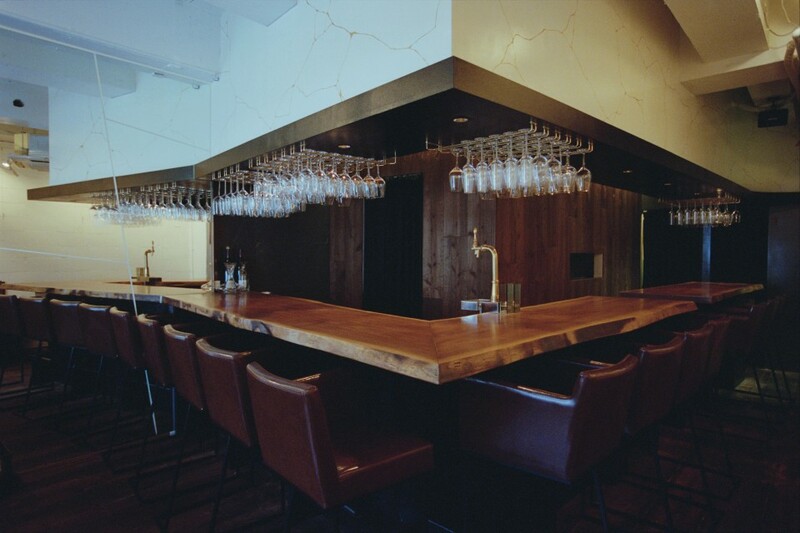 We created this interior design for Spielen Wolke, a company specializing in imported German wines, which was opening its first wine bar for direct sales of its products. 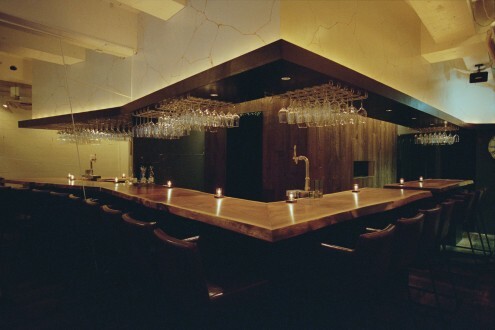 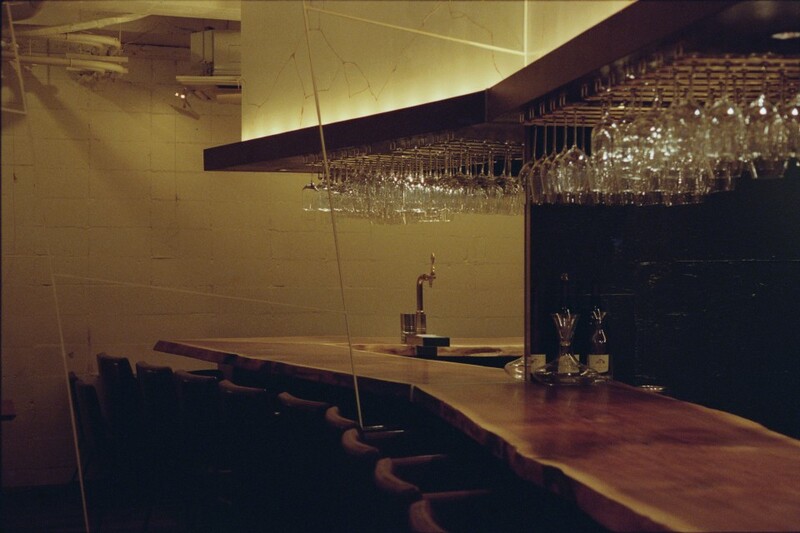 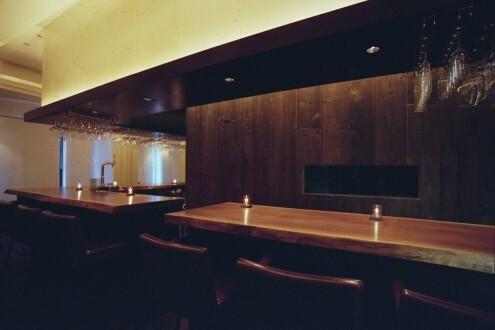 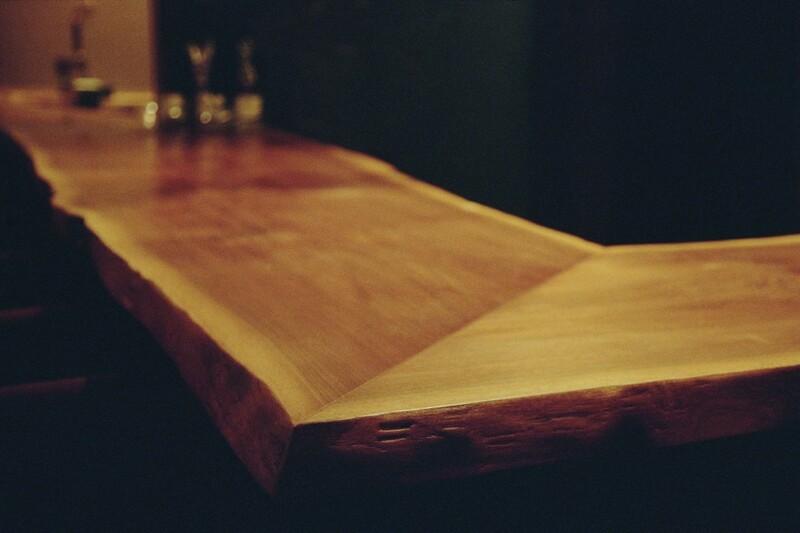 While Yuun Akasaka is a wine bar, it also serves elaborate restaurant-style food, so the design included a small kitchen and ensured that wine service staff and kitchen staff would not step on each other’s toes. The March 11 earthquake occurred during this project, and the excessively self-restrained mood put a strain on the food and beverage industry. 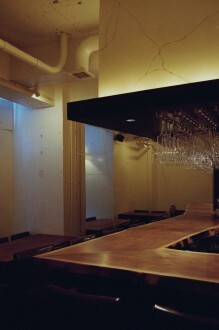 The client, however, wanted to go ahead with the project regardless. 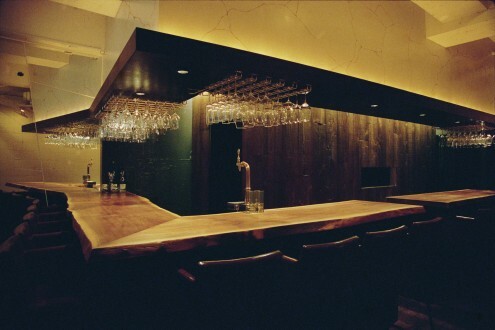 Wondering whether this strong desire could be incorporated into the design, we decided to finish the most distinctive feature of the space—the overhanging wall above the counter—in a pattern of golden patches. 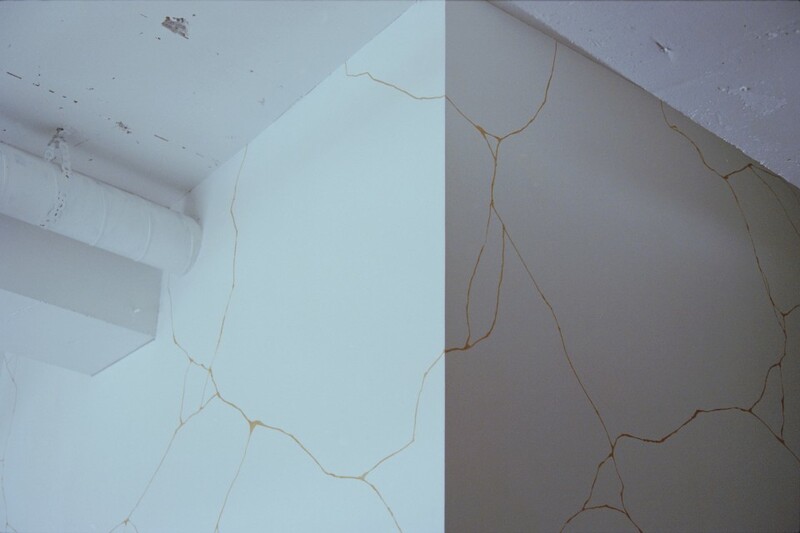 These golden patches, as representations of the beauty that can only be expressed in things once they are broken, functioned as a metaphor for post-earthquake Japan.